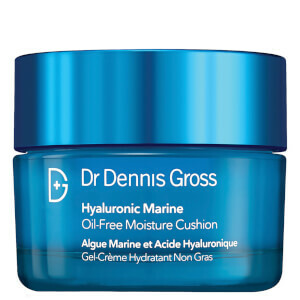 Replenish dry, dull and dehydrated skin with the Moisture Cushion from Dr Dennis Gross’ Hyaluronic Marine™ range; a unique water-break gel-cream formulated to deeply penetrate the skin with moisture. 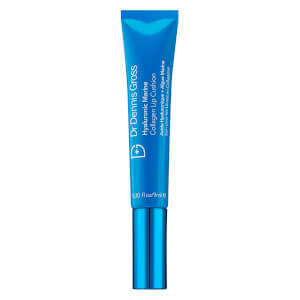 The lightweight, oil-free formula helps skin look smoother, softer and healthier without clogging pores. Enriched with Japanese Marine Algae harvested from the waters of the southernmost island of Okinawa, and fortified with essential amino acids and B vitamins, the gel’s plumping effect improves the skin’s elasticity. Key ingredient Hyaluronic Acid chronospheres (known for its ability to hold up to ten times its own weight) delivers time-released hydration to dull, dehydrated or dry skin for a dewy and supple finish that lasts throughout the day. Smooth over clean, dry skin. For AM/PM use. 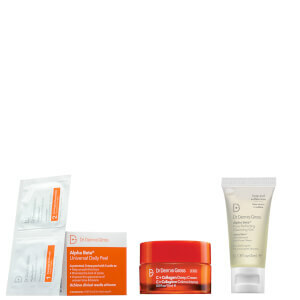 For best results, layer over a serum of your choice.